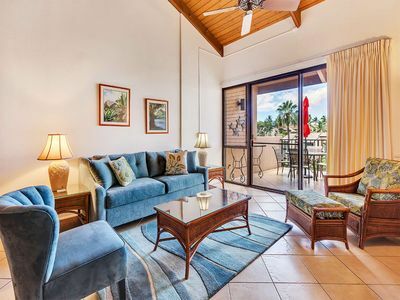 This beautiful Royal Mauian 401 condo offers all of the luxuries you could want during your vacation in Maui. 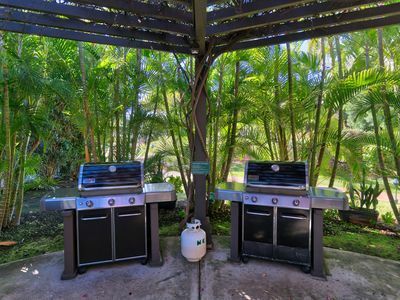 Remodeled kitchen with high end appliances, Hawaiian themed décor and furniture, air conditioning, and two large bedrooms. 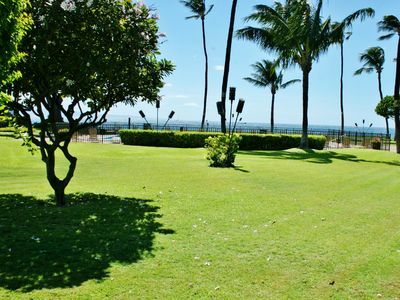 All of this in one of the most prestigious buildings in Kihei. 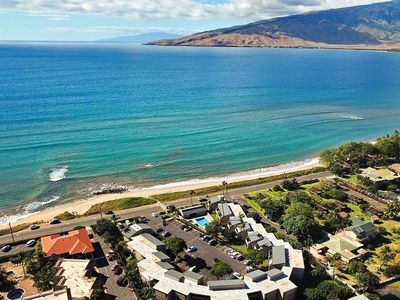 You will love the ocean side pool, rooftop bbq area, and proximity to great shops, restaurants, and two of the best beaches in the area (Kamaole I & II). 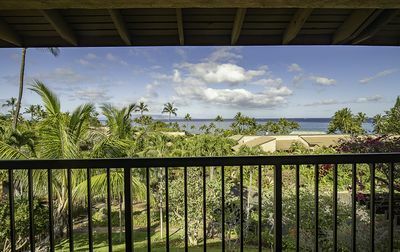 This unit has a mauka (mountain) view only, but a quick trip upstairs to the rooftop will let you enjoy watching sunset or the whales jump in the winter season with your unobstructed ocean view. 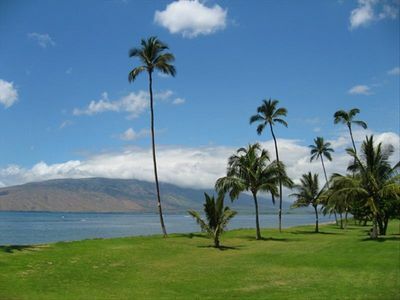 You will be able to see all the way to the islands of Molokini and Lanai! 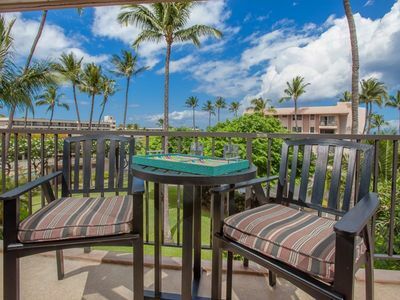 Enjoy sipping on a cocktail by the pool as you look out into the Pacific Ocean or lay out on the lawn chairs and enjoy the ocean breeze and water! 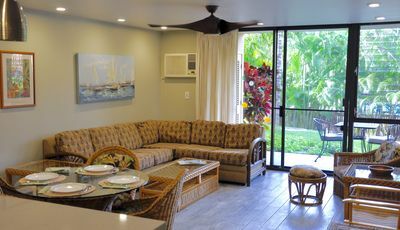 Living Room: This bright and open room is the perfect place to relax and cool off after a day of fun in the sun on Maui. 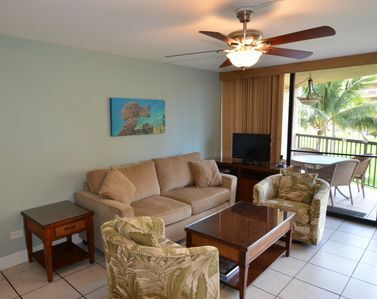 There is plenty of comfortable seating to gather around and play some cards or watch a movie in the living room. 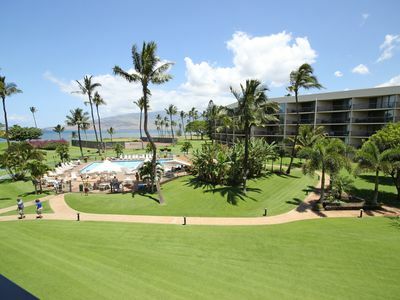 You can also enjoy views of Haleakala from this room. Enjoy open flow to the dining area with seating for four. You will love gathering your family or friends around this table for a meal and quality time together. 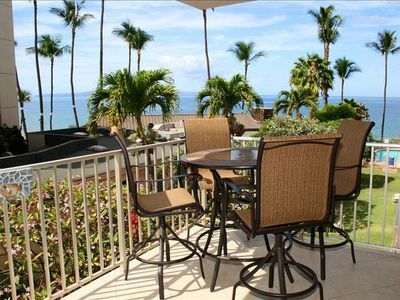 Please note this unit does not have a lanai, however this makes the indoor space incredibly spacious! 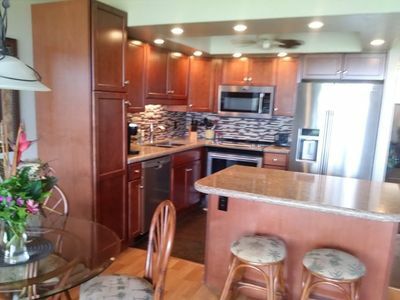 Kitchen: This kitchen features full size high end appliances, granite counter tops, beautiful under cabinet lighting and plenty of space. You will feel right at home when you cook in this fully stocked kitchen and enjoy the open and bright feeling in this area. Serve some cocktails at the bar area and enjoy preparing your meals in luxury. Master Bedroom: This room features a comfortable King size bed with a private bathroom, walk in closet and plenty of room to unpack and spread out. Two walls of windows and overhead lighting make this room nice and bright! 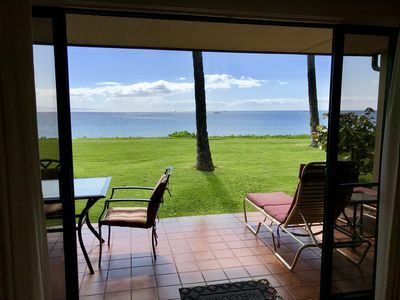 Get some rest or lay back and look at Haleakala through your window. You will love having a full en-suite bath. 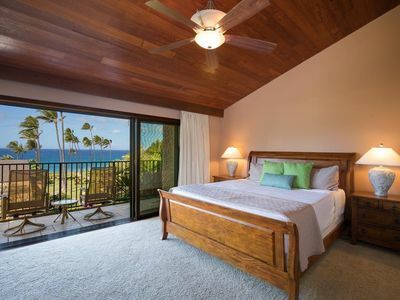 Guest Bedroom: This guest bedroom has two Twin beds convertible to a King upon request. 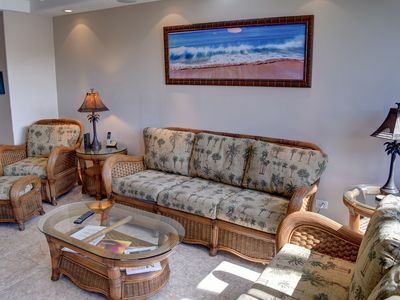 Relax in this room and enjoy the view of palm trees swaying in the breeze or watch a DVD movie on the TV in this room (no cable in the guest bedroom). You will have plenty of space to store your things in the closet and dresser. The second bathroom is right next to this room! Laundry: You will love the convenience of having a large washer and dryer inside your unit. 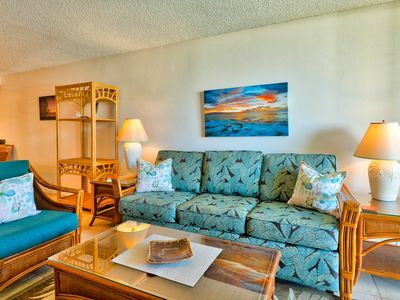 Don't worry about taking sandy clothes home when you stay at Royal Mauian 401! 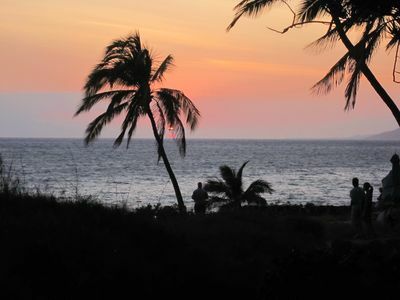 Share Our Little Piece of Paradise! New renovation! 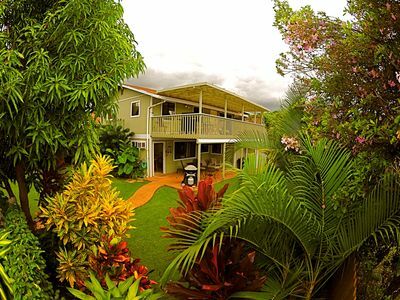 Ocean views and island style living. 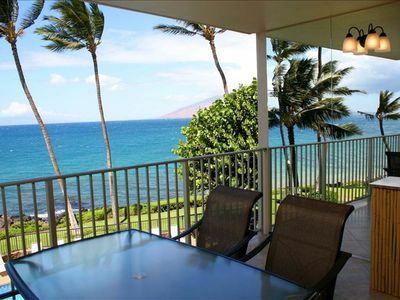 Kihei Akahi - Remodeled 1BR/1BA Ocean View Condo Steps Away From Kamaole Beach!